Traces the achievements of two unconventional adventurers and their fight to preserve the wilderness where they pioneered eco-tourism. Award-winning journalist Kate Legge tells the remarkable story behind the creation of the Cradle Mountain sanctuary through the characters at its... read full description below. He was an Austrian immigrant; she came from Tasmania. He grew up beside the Carinthian Alps; she climbed mountains when few women dared. Their honeymoon glimpse of Cradle Mountain lit an urge that filled their waking hours. Others might have kept this splendour to themselves, but Gustav Weindorfer and Kate Cowle sensed the significance of a place they sought to share with the world. When they stood on the peak in the heat of January 1910, they imagined a national park for all. 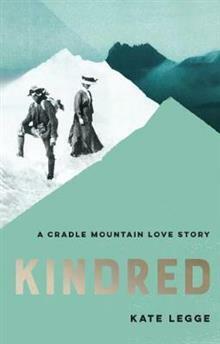 Kindred- A Cradle Mountain Love Story traces the achievements of these unconventional adventurers and their fight to preserve the wilderness where they pioneered eco-tourism. Neither lived to see their vision fully realised- the World Heritage listed landscape is now visited by 250,000 people each year. Award-winning journalist Kate Legge tells the remarkable story behind the creation of the Cradle Mountain sanctuary through the characters at its heart. Kate Legge writes for The Weekend Australian Magazine. She has covered politics and social affairs in Australia and America. She has published two novels- The Unexpected Elements of Love (long listed for the Miles Franklin Award) and The Marriage Club.